Is Directory-as-a-Service Right for You? Home » Blog » Is Directory-as-a-Service Right for You? Directory-as-a-Service® is an emerging category to help organizations leverage the cloud to manage users, systems, and networks. But, who should take advantage of this cloud identity management platform? Centrally control your user’s access to their systems, applications, and networks. One place for onboarding and offboarding your users. One set of credentials for your users to remember and use. Never install, configure, or manage LDAP again. Leverage a cloud OpenLDAP solution that is managed for you. Lock down your WiFi network with a cloud RADIUS implementation. Your users will be able to uniquely authenticate into your WiFi network, but you won’t have the hassle of managing FreeRADIUS and all of the associated moving parts. Federate your user identities to popular web applications leveraging the SAML protocol. Extend your existing directory to manage your cloud infrastructure, for example, AWS or manage Macs and Linux devices. Have you tired of CALs, Windows Server costs, and ongoing maintenance? Are you sick of taking on Macs? How about moving infrastructure to the cloud such as AWS? Perhaps you are leveraging G Suite or Office 365. Directory-as-a-Service is a better option for all of these types of environments. Make management of Mac, Linux, and Windows seamless with the ability to execute tasks and commands on your various systems. 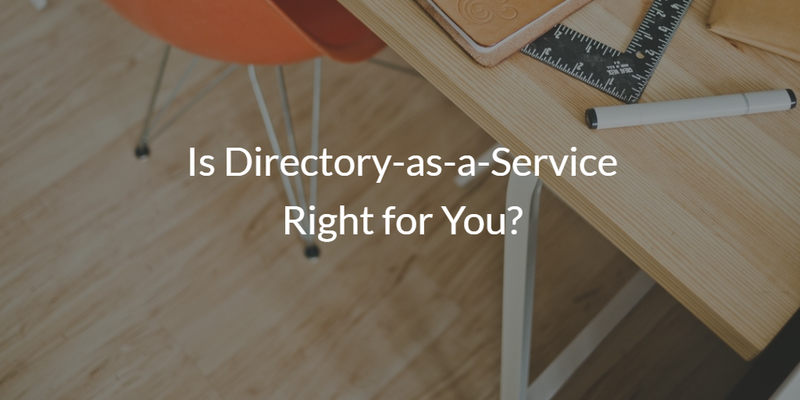 So, is Directory-as-a-Service Right for You? Generally, Directory-as-a-Service has worked really well for any organization that is interested in the cloud and has a heterogeneous environment. Organizations with no directory benefit from being able to easily put one in place without the need for on-prem servers and maintenance. It is difficult for Active Directory to centrally manage your mixed platform infrastructure. In addition, any time you have cloud or web IT resources, connecting them back to the on-prem, legacy Active Directory can be a significant challenge. 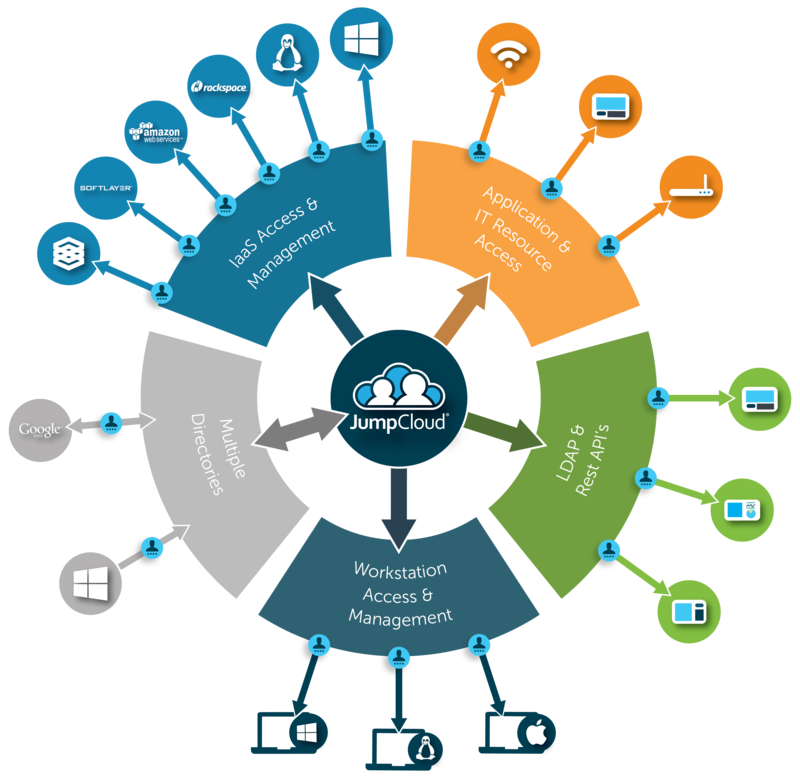 JumpCloud® created Directory-as-a-Service to address these issues and more. As a virtual identity provider, it securely manages and connects users to the IT resources they need, including systems, applications, and networks regardless of platform, protocol, provider, or location. If you can relate to any of these problems and think that a cloud-based directory service can help your organization, sign up for our free account. Since the first 10 users are free forever, give it a try today. If you have any questions before signing up, drop us a note.